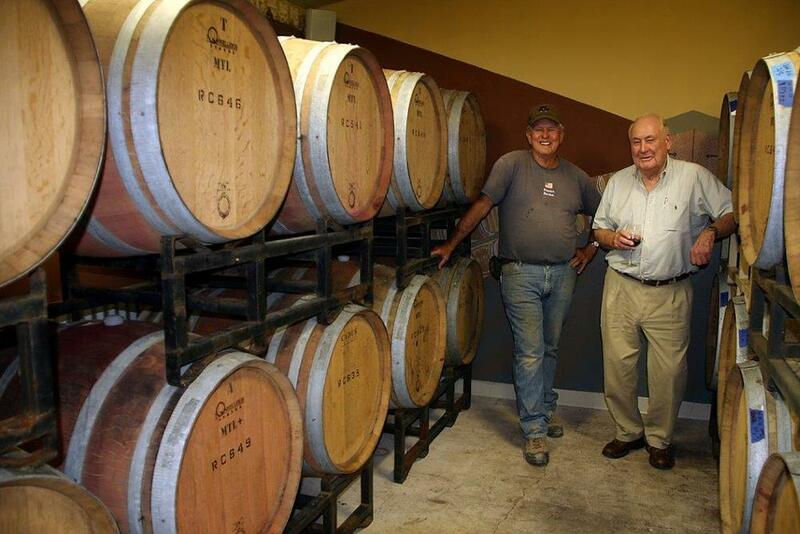 Doe Mill Vineyards includes a 33 acre Old Vine Zinfandel vineyard that is now 50 years old. It is dry land farmed which renders the vines somewhat stressed at harvest time late summer, early fall when the vines then push nutrients and dense juicy flavor to the grapes. It’s remote location, at 1400’ elevation on Doe Mill Ridge, is home to deer, coyotes, rabbits and bear. Doe Mill Vineyards also grows Malbec and Syrah grapes planted in 2011 on upper Humboldt Road, a location with a beautiful view of Chico and surrounding valley. We will be offering these varietals December 2015. Barrel tasting promises these will be delicious! We are excited about our new varietals of Malbec and Syrah. These vineyards were planted in the spring of 2012 at the top of Old Humboldt road. We like to say this is the only green spot in the area in summer! These wines are aging in Pennsylvania Oak barrels and we look forward to an early 2016 release of the 2014 vintage. Barrel tasting is showing great promise for wonderful wines! UPDATE! These varietals are really doing well in the red rocky soil as the wine is wonderful! Richard and Janet were taking a scenic drive around the vineyard in the fall of 2006 when the Zinfandel vineyard had not been farmed or harvested for a few years, and noticed beautiful ripe grapes hanging from the vines. They decided to pick some to try to make Zinfandel jelly! It was very good with the sweetness of jelly and the peppery quality of Zinfandel wine. With permission, Richard, in partnership with Howard Isom, began making wine from this vineyard in 2007 for personal use and to learn wine making. It turned out very good and in December 2011, we began marketing the wine for sale. We have won Gold and Silver awards, as well as Best of Class of Region at the California State Fair and Silver medals at the San Francisco International Wine Competition every year entered!